Today I’m posting twice. 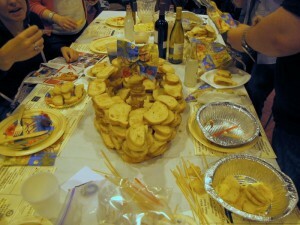 Both the Philly Modern Quilt Guild meeting and the Beefsteak deserve their own posts. 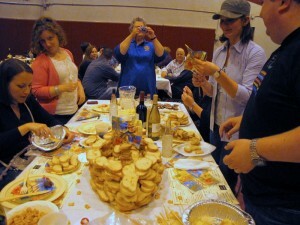 And it was quite a Beefsteak this year. We had 10 people this year for our table, and we had to defend our title from last year in the bread sculpture competition. We take this competition very seriously, I’m not sure why. But once everyone has doubled over into a beef coma from the all-you-can-eat food, we get a second wind and set out to build these elaborate pieces of art with bread. And we won again, 2nd year in a row. Next year the competition will be fierce, I can feel it. 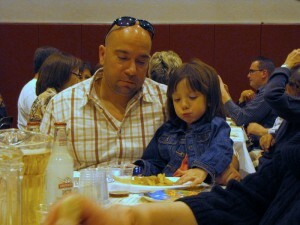 It was my niece Grace’s first beefsteak. You have to start young. 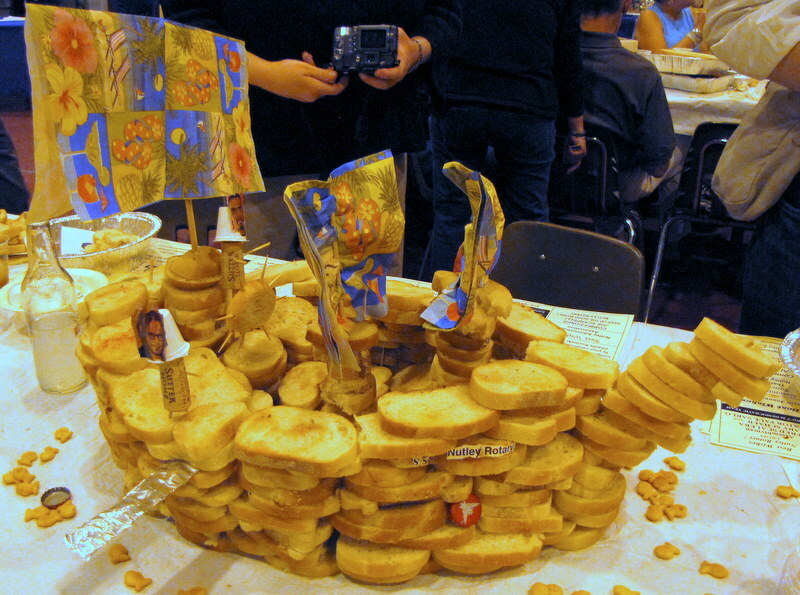 This year we built a ship out of bread, complete with skewers as masts (we bring skewers and toothpicks for support each year). We covered the masts in the decorative napkins my mother brought to make our table look festive. I swear, that’s who I get it from. Brooke worked on a plank made of aluminum, Julie and my mom helped oversee, Laura Ann made the masts, and Adam was the team leader. 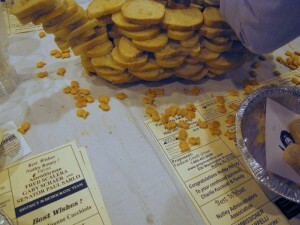 He orchestrated the build, kept everyone on task. After helping with some of the foundation, my role became bread collection, clearing table space, keeping sides from falling down, and documenting. I’m happy to be a laborer for the team. 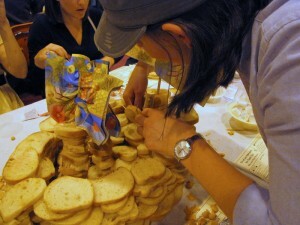 Kathryn made a captain’s wheel, then Laura Ann made a cork captain and put him in place. We put a creamer tub on his head as a hat, and we found a picture of Diddy in Brooke’s Us Weekly for his face. Goldfish in the sea below. The SS Nutley Rotary. With Johnny Depp walking the plank. 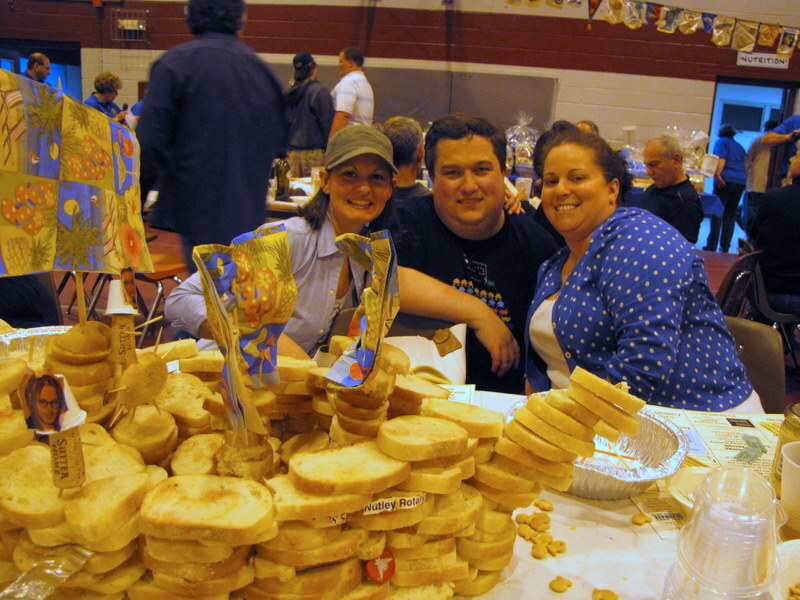 And here are the smiling Beefsteak veterans, Laura Ann, Adam, and me. Then it was on to the prizes, and our table did really well! 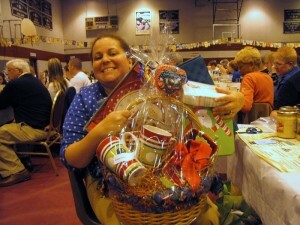 I won this giant Christmas basket. I was so proud. 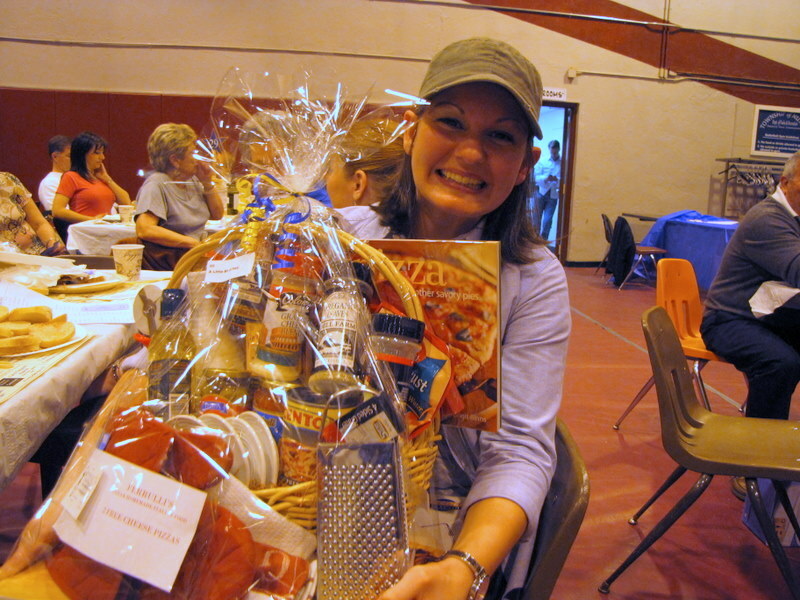 And Laura Ann won this giant pizza basket. Next year we’ll have to think even bigger! So a day spent driving all over the state, but a great day with great people nonetheless. So much fun!